There is a question mark over the release of Vishal's Madha Gaja Raja on September 6, as there are certain financial issues which need to be ironed out urgently by the stakeholders. Actor Vishal, who had bought the rights of Madha Gaja Raja from Gemini Film Circuit had to be admitted in the Nova Specialty Hospital in MRC Nagar, Chennai due to high blood pressure. Sources close to the actor are confident that these issues would be sorted out in time for the movie to release as scheduled. G.N.Anbuchezhian of Gopuram Films is distributing the film all over Tamil Nadu and he is also involved in the distribution of the other September 6 release, Varuthapadatha Valibar Sangam in the Chennai and Chengalpet territories. The trade is hoping that this issue would be addressed quickly as advance bookings have already opened for both the releasing films all over the state. An official announcement is eagerly awaited in this regard. Suriya's six-pack & Vikram's visual impairment - some of the biggest homework ! Ya ya, its a flurry of films!!! This page hosts a weekly slideshow related to Tamil movies. Each slide includes a picture and some description about that picture. All the slides will have a recurring theme. People looking for actress stills, actress images, actor stills, actor images, movie stills, movie images, and other interesting topics, relevant issues in Tamil cinema will find this page useful. 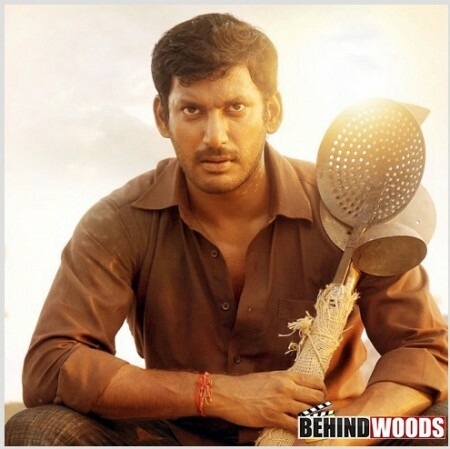 Vishal | Big releases, Big announcements - Top 10 News.